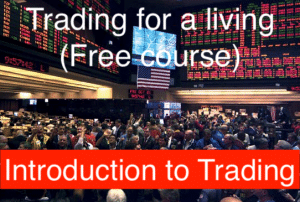 Looking for trading training courses for beginners? 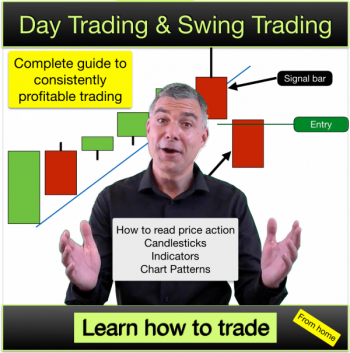 Done a bit of trading and now want to learn the key elements to trading that will deliver consistent results? Learn to trade at our Trading Training Academy, with your own master trader course tutor. Our trading training courses are applicable to stocks, Forex and commodities. 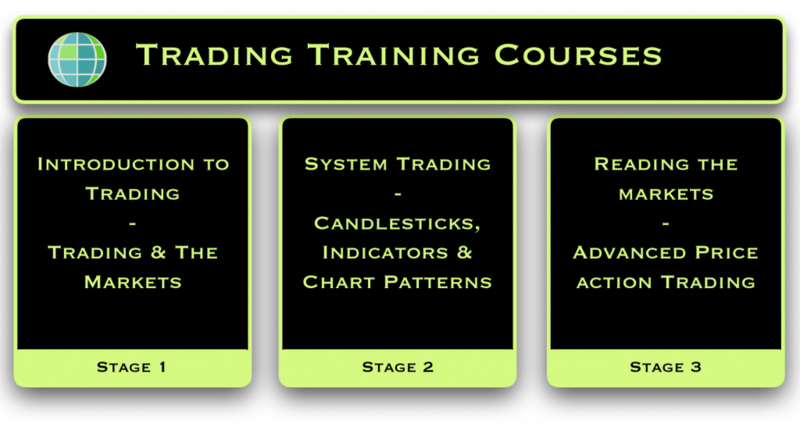 On our courses we will teach you a 3 stage system with tried and tested professional trading tactics & strategies to enable you to trade any market at any time. For successful trading, learn to trade as the pros trade. Learn to read the markets. Generate your own unique trading plan that fits your lifestyle, the time that you have available to trade, your trading objectives, capital base, income requirements and risk profile. 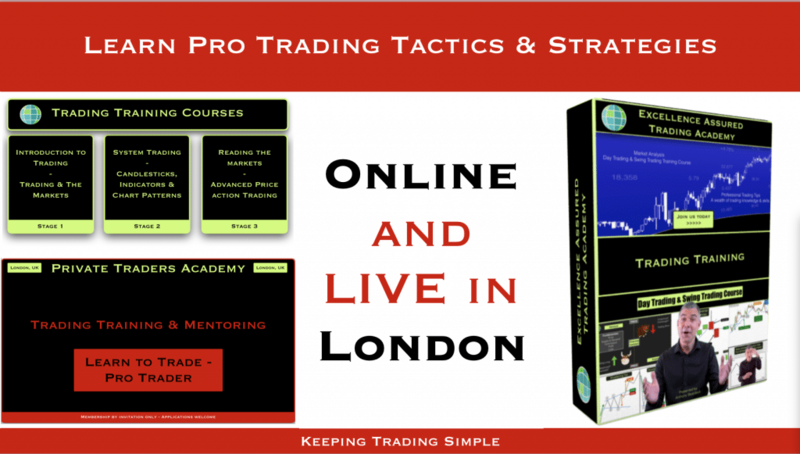 Take your Trading training Live in London or via our online courses. It is your choice, with our Trading Training Academy at Excellence Assured . We recognise that choice is important to you, so we provide a choice of training method. The course content is the same across both mediums. 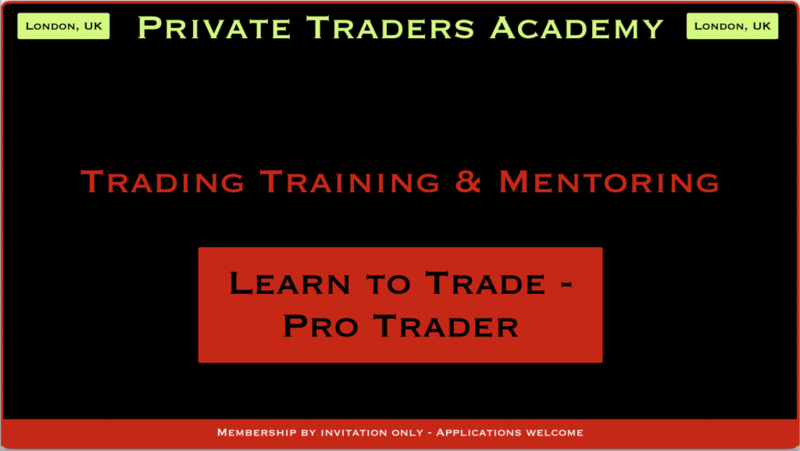 Private traders academy – New member applications welcome. Contact us for details, dates and for invitation. Methods you can use right away – trade from 30 minutes to 24 hours a day! Do you want to learn how to trade profitably? Fed up with trawling through all the videos on YouTube and websites that only give you half of the story? Do you want to learn trading in simple terms? Want to work as a trader, trading from your home office? Want to learn how to find your own trading signals, trading entries and exits? In our trading training we describe to you how to read the markets in simple terms. We explain our professional trading systems so that you can adopt them in your own trading. Having a system that allows you to see trading opportunities AS they arise and lets you run your profits and cut your losses. This incorporates understanding how markets work, chart patterns, indicators and candlesticks. Managing your emotions so that you can trade freely and feel at ease as you trade. Adopting techniques that enable you to stick to your system. Once you have a system that incorporates each of these three areas and you can operate this system then you have a winning formula. You will recognise that actually each market behaves in the same way. You will realise that you can trade any market just by looking at a chart of that market without needing to know which market it actually is, Forex, Indices, Shares, Commodities etc. You will be able to judge which phase the market is in so that you use the right type of trade to suit that particular market condition. You will know that every trade has a chance of winning and a chance of being a loser. However having a positive probability, reward and risk formula on every trade means that you can compete with other top traders and gives you your edge. After the training and with practice you will be able to pick out chart patterns that offer good probability opportunities with a positive traders equation. You will learn that even just trading one specific chart pattern (out of the dozens) can enable you to trade successfully for a living. You will learn why at most times during the trading day there are experienced and successful bull traders buying AND bears selling and both sides are making money. Also why at the same time there are amateur traders buying on the bull side and selling on the bear side and both sides are losing money. You will learn the criteria that you need to work out the likely probability on a market price move up or down. You will learn the exact signals that you should look for in order to enter trades. You will learn the exact criteria that you should use for getting out of trades and knowing when you are wrong. With all of this at your disposal do you think that you could make money consistently as a trader? We do. If you do too, join us on your course and let’s get started. Please feel free to contact us to ask and questions that you may have about this trading training opportunity. You will receive a reply within 24 hours from your course tutor. What do our students say about our Trading Training Courses? I’ve been trading part-time for 2 years and I love it. Before I did your course I couldn’t see myself being able pack in my job to do this full-time, it just seemed like I would never get past the stage of struggling to break even on my trades. Now that has changed. I have been positive on 17 of my last 20 trades (my first series of trades with the new system). Wow. I’m so excited. For the first time I feel like I can judge what is going on in the markets and make a really good living from it. This really helps me pick out my trades AND gives me confidence that I made the right decision. I am less nervous in trades and this helps too. Even with my losing trades I had confidence that the next one would be a winner. I am now in the process of transitioning out of my old 9-5 and putting plans in place to trade full-time instead. Also my wife is really happy to have been seeing more of me. A real win win. Thank you for your course and the time that you gave me personally. Thanks Anthony. After doing so many trading courses that failed to help me become profitable it is great to have found one that is really delivering. Since beginning the course my knowledge has skyrocketed and I am finally turning my trading around. The money management system is working really well and my account is now looking great. I used to avoid looking at my broker statements, now I can’t wait to open them every morning. 🙂 Ha Ha. Seriously, I am impressed by the content of the course and I would be happy to recommend it to others. We want you to complete our trading training with a workable trading plan. There are hundreds if not thousands of ways of making money in the markets and we give you suggestions and guidelines in our training as to how you can make it happen for you. There are far more trading opportunities every day than one person can take and therefore, with our assistance, you will design a trading plan that suits you. 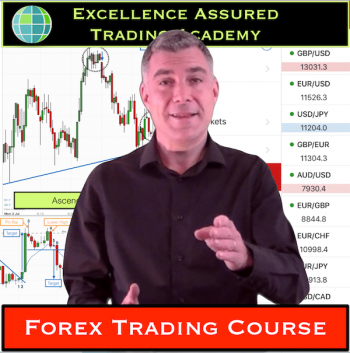 Anthony will ask you questions in order to review your post course trading performance and will work with you to find solutions to any problems and help you to improve your plan. 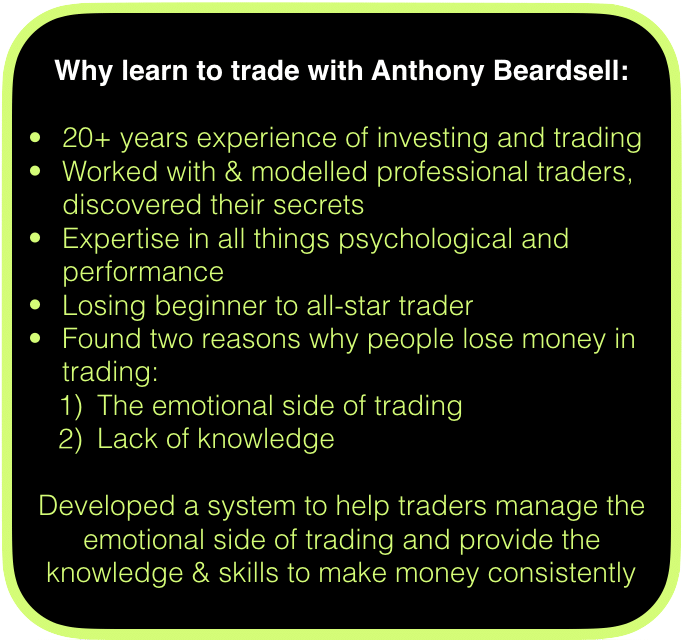 Anthony is a professional coach as well as a passionate trader, so he is well placed to help you. To give you an idea of the type of constructive feedback that you may get, here are a number of suggestions and comments that Anthony has made to students who have asked for his assistance recently. You have good discipline and a tremendous ability to stick to your system. The system provides a great win rate. Your system takes advantage of market reversals and support and resistance levels really well – all trends end at support or resistance so it makes sense. You have discovered a good way (criteria) of confirming trade entries. Decide before you take the trade what the probability is on that trade. Is the probability 40% or 50% or 60%? If it is 60% then enter the trade accepting that this could be one of the 4/10 trades of this type that fails. This will help you manage your expectations and emotions. Change your stop policy – it is flawed as it is not based on specific market action, more on random criteria. Decide whether you are swing trading or scalping before each trade as per the course guidelines. This will help you with knowing when you are wrong and assist you in cutting your losses/letting your winners run. Learn what stage the market is in to decide what type of trade to take, swing trade or scalp trade. Lower your position size to better manage your emotions. View additional charts and markets. Take more trades – you have a great system. Let’s get it working for you! As a beginner you should concentrate on only taking With Trend trades until you are consistently profitable. You are entering your reversal trades a little early. You should wait until the market hits a support & resistance level and breaks a trendline before considering reversal entries. You are picking excellent candlesticks for your entries. Now concentrate on the other important aspect for trade entries, context. Get that right and you will be flying. It looks like you are trying to be a bit too exact on picking tops and bottoms. Remember the market has inertia. In trends assume the trend will continue until the 5 trend phases (as explained in the course) have completed. When the market is in breakout phase you can trade with trend at any time betting on a trend continuation, you don’t need to wait for specific entry bars. You must adjust your position size according to the increased risk though. Outside bars are not particularly reliable entry signals on the 5 minute chart. I normally use them as signal bars rather than entry bars and wait for confirmation. They often operate as traps. Go to a higher timeframe to ascertain what stage the market is in before going to your “trading” timeframe. Look to plot trendlines, trend channel lines on your chart at the earliest opportunity. Sometimes the market will not adopt the lines that you draw but when it does you know that you have a good signal. In addition to the horizontal support and resistance lines that you have on your chart also take into consideration trendlines and trend channel lines for added confluence. Most pro traders view diagonal support & resistance as just as important as horizontal ones. 20 EMA also acts as support & resistance. Way to go….a super start! 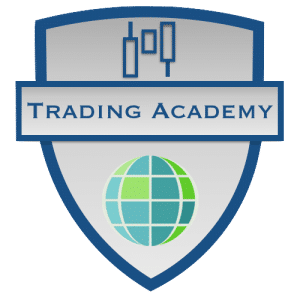 We have been offering Trading training courses for beginners for several years now and one of the things that separates us from our competition is that we keep things simple. Trading is actually really simple. Prices can only go up or down. If you look at a chart and think “its going to go up” then what is stopping you from trading long and betting that price will go up? If you look at a chart and think “its going to go down” then why not trade short and bet that price will go down? If you are right then you make money. If you are wrong then you can always get out of the trade to limit your loss. Wait before you act on these thoughts! If you are confused by the markets and don’t know how to assess the markets and assess price action then there are plenty of people setting traps for you and getting ready to take your money. What you are actually saying to yourself is “it will probably go up” or “it will probably go down.” Assessing probability is one of the secrets to making money in trading. There are no certainties. If you can get your head around that and trade in the direction of probability then you will make lots of money. The tricky part is assessing the probability. You need to know how markets work, how to read price action and how to manage your trades. I’ve spent years studying the best traders in the business. Millionaire and billionaire traders. They make trading look simple, they make money seemingly at will from the markets and they all have certain things in common. Things that you can learn and do for yourself. Professional traders, institutional traders all make money through understanding how markets move and through using the laws of probability. Even when prices are going up institutions are making money by betting on prices falling. This may sound impossible but it isn’t if you have a system to manage your trades properly. Markets do not move in just one direction. They fluctuate. Professionals and institutions capitalise on these fluctuations to make money trading in either and both directions. If you understand how this works and replicate their systems you can take a slice of the action for yourself. Amateur traders make trading far more complicated that it needs to be. I’ve been there! We put indicators all over our charts and get confusing and contradictory signals that mask the real price action. We wait and wait for the perfect trade, which hardly ever comes along and as soon as price moves in our favour we get scared and exit for a tiny profit. Or we see price moving against us and we sit there hoping that price will turn around. Hoping and hoping whilst professionals take our money. Learn how to trade. Learn how the professionals trade. Learn how institutions using computer algorithms make money trading in either direction. Learn how to judge probability and how to manage your trades. In any walk of life if you do what the best in the business does then you will be successful. Trading is the same and the rewards are amazing! Take one of our trading training courses with your Excellence Assured.